Smithtown, NY - Suffolk County Police arrested a woman for Driving While Ability Impaired by Drugs under Leandra’s Law in Smithtown after responding to a 911 report of an intoxicated driver. A 911 caller reported seeing an intoxicated woman swerving off the roadway while operating a car with a child in the backseat at Brooksite Drive. 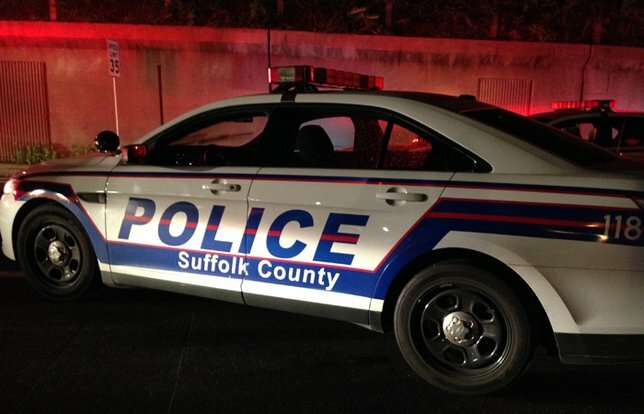 Suffolk County Highway Patrol Officer Christopher Weiner stopped the vehicle on West Jericho Turnpike and found Blair Baldwin operating a 2000 Nissan with her 6-year old daughter in the back seat. She was arrested at approximately 12:05 p.m.
Baldwin, 30, of Smithtown, was charged with Aggravated Driving While Ability Impaired by Drugs with a Child Passenger 15-Years-Old or Younger (Leandra’s Law), and Endangering the Welfare of a Child. Baldwin was held overnight at the Fourth Precinct and arraigned at First District Court in Central Islip on April 10. Subject: LongIsland.com - Your Name sent you Article details of "SCPD: Woman Arrested for Allegedly Driving on Drugs with 6 Year-Old in Vehicle"